As a concept-driven framework, ARC is intended to be flexibly applied according to the needs of the context and population with whom it is being used. As such, specific uses of ARC within the range of systems who have adopted it are typically referred to as “ARC Applications“. However, there are a number of specific adaptations which have now been developed, using the ARC framework and concepts as all or part of the theoretical and structural foundation. Foster parents play a critical role in supporting youth involved in the foster care system, many of whom have experienced trauma. 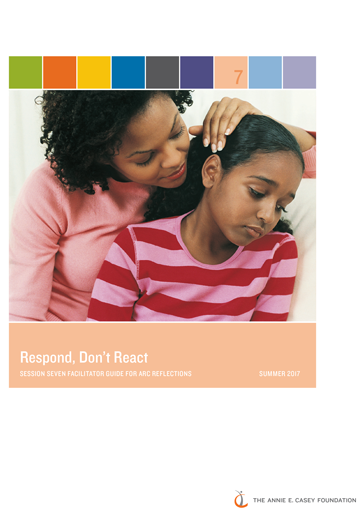 ARC Reflections is a nine-session program developed in collaboration with the Annie E. Casey Foundation to provide education, skills, and support for foster parents who are caring for children who have had traumatic experiences. The curriculum is designed for child welfare agencies to implement with groups of foster parents within their existing in-service foster care training program. ARC Reflections is available here. The Reflections curriculum includes an orientation for group facilitators, a facilitator guide, PowerPoint slides, and group handouts. In addition, the Casey Foundation website offers additional resources for trainers and case workers to better understand and use ARC, including a case manager guide to ARC, a case illustration, and surveys to elicit feedback from group members. ARC Grow is a caregiver skill building intervention designed to enhance resilient outcomes for families who are impacted by chronic adversity or stress. The program includes 12 sessions that are designed to be implemented with caregivers rather than caregivers and their children in the home and/or in office based settings. ARC Grow has also been modified and implemented as a caregiver group intervention. To date it has been most widely implemented as an in home program with teams providing in home therapy or support and stabilization services. More than 400 in home providers have received training in this new ARC application. The 12 sessions may be implemented over the course of 12 weeks or expanded over a longer period of time. Implementation protocols vary based on the nature of the service being provided as well as state specific implementation parameters. An ARC Grow session is typically 90 minutes long. Each session includes psychoeducation and skill practice in areas including but not limited to caregiver self-care, attunement to the developmental impact of trauma, supporting child/youth regulation, effective parenting practices and strategies for building daily routines. Each session offers a mix of direct teaching, experiential learning and activity based skill practice. ARC Grow providers attend 3 full days of training. The initial training day includes a review of the key concepts of the ARC framework and the application of those concepts to the ARC Grow Program. The final two days of training include opportunities for role play and hands on experiential practice of the ARC Grow sessions. 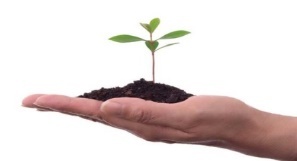 Following the training providers and/or teams trained in ARC Grow participate in 10-12 months of ongoing consultation with an ARC Grow trainer/consultant to support the implementation process. Consultation is required and provided to ensure that each caregiver is receiving treatment that is tailored to his/her specific needs within this structured curriculum. At present many of our new ARC Grow providers are in the process of collecting data regarding the efficacy of ARC Grow. During implementation of ARC Grow through the Massachusetts Child Trauma Project, in a sample of 57 caregivers providers were asked their perception of families’ overall well-being at baseline and discharge using the Protective Factors Survey subscales. Results showed that, the average score for providers’ perception of Families’ Functioning and Resiliency  was significantly higher (better) at follow-up compared to baseline. Also, results showed significantly higher scores at follow-up compared to baseline in Nurturing and Attachment. The Child Development and Knowledge of Parenting subscale  showed improvement at follow-up compared to baseline. Families’ Functioning and Resiliency: Improved adaptive skills and strategies to persevere in times of crisis and the family’s ability to openly share positive and negative experiences and mobilize to accept, solve and manage problems. Nurturing and Attachment: strengthening of the emotional tie along with a pattern of positive interaction between the parent and child that develops over time. Child Development and Knowledge of Parenting: understanding and utilizing effective child management techniques and having age appropriate expectations for children’s abilities.